Petrol, Diesel Prices: Petrol price in Delhi today is at Rs. 75.69 per litre while diesel rates now stand at Rs. 67.48 per litre in Delhi. Petrol and Diesel Rates Today: Fuel prices in the country are determined by global crude oil prices. For the fifth consecutive day, oil marketing companies (OMCs) cut petrol prices on Monday. According to the rate chart, petrol price in Delhi today is at Rs. 75.69 per litre. In Mumbai, petrol price is Rs. 83.30 per litre. In Chennai and Kolkata, petrol prices are Rs. 78.55 per litre and Rs. 78.37 per litre respectively. 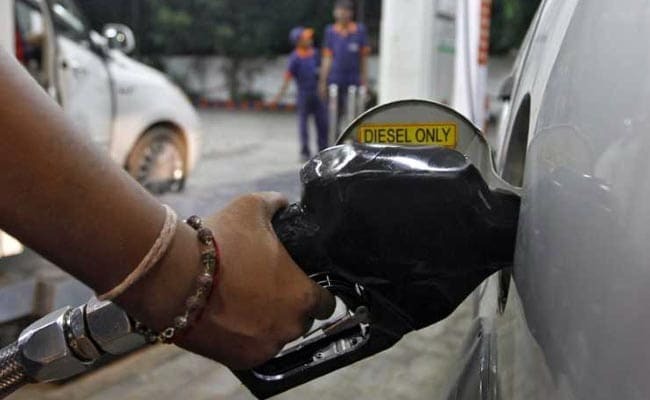 Diesel prices also dropped today by 6 paise per litre in Delhi and Kolkata, by 10 paise in Mumbai and by 7 paise in Chennai, as mentioned on Indian Oil Corporation (IOC)'s website. Diesel prices now stand at Rs. 67.48 per litre in Delhi. Diesel price in Mumbai is Rs. 71.66 per litre. Diesel price in Kolkata is Rs. 70.03 per litre. In Chennai, it is Rs. 71.22 per litre. The new listed rates are applicable from 6:00 am on 25th June 2018. Petrol rates went down in other states as well. In the past few days, petrol, diesel prices have continuously been slashed, although with a nominal decline on a daily basis. On Sunday, petrol prices fell between 14 to 17 paise in metro cities. Similarly, diesel prices fell by 7 paise in Delhi and Kolkata, by 11 paise in Mumbai, and by 7 paise in Chennai on Sunday. Petrol prices in Delhi are the lowest among all metro cities due to lower sales tax or VAT. During the previous UPA regime, diesel prices hit a peak on May 13, 2014, when rates touched Rs. 56.71 a litre, a Press Trust of India report said. The government had deregulated or freed petrol pricing from its control in June 2010 and diesel in October 2014. It allowed revision of prices on a daily basis since mid-June last year to reflect changes in cost instantly. The government at the Centre had raised excise duty on petrol by Rs. 11.77 a litre and that on diesel by Rs. 13.47 a litre in nine instalments between November 2014 and January 2016 to shore up finances as global oil prices fell, but then cut the tax just once in October last year by Rs. 2 a litre, the report further said.